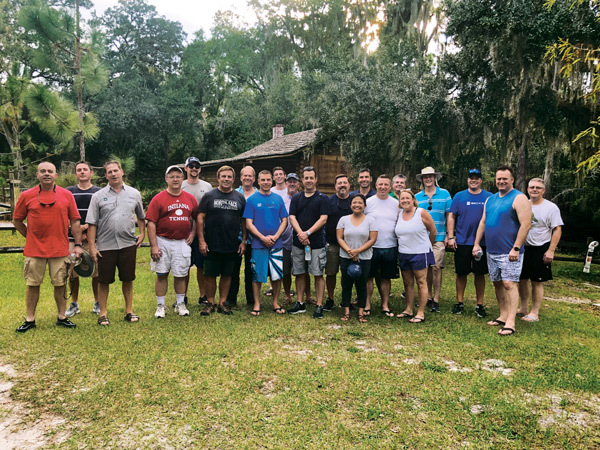 Check out a few of the places where the LM team made its rounds last month. 1. Somewhere over the rainbows. 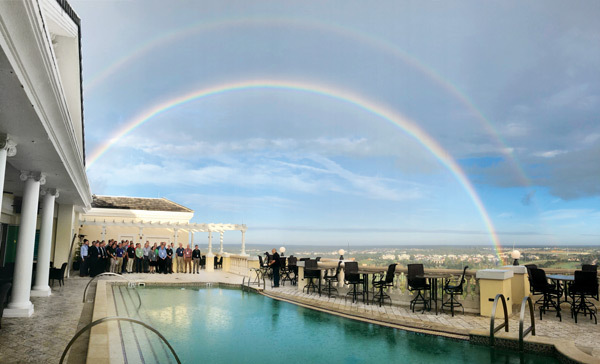 This beautiful double rainbow showed itself over Reunion Resort while the group photo was being taken at the 2018 Landscape Management Growth Summit (LMGS). 3. For the win! 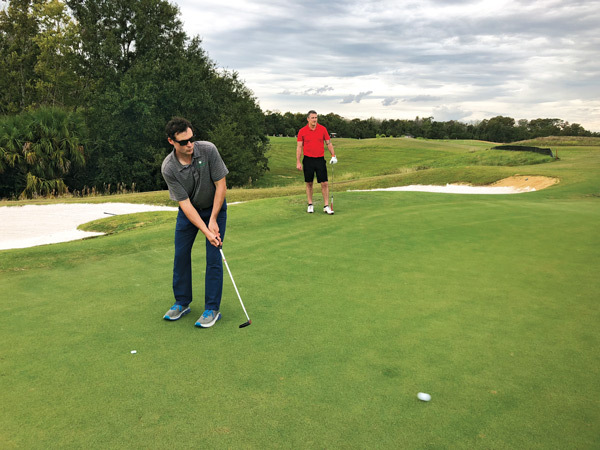 Benjamin Lewis, president of Browder-Hite, Exmore, Va., looks to get his scramble foursome a birdie while LM Associate Publisher Craig MacGregor watches. 4. Holding down the bar. 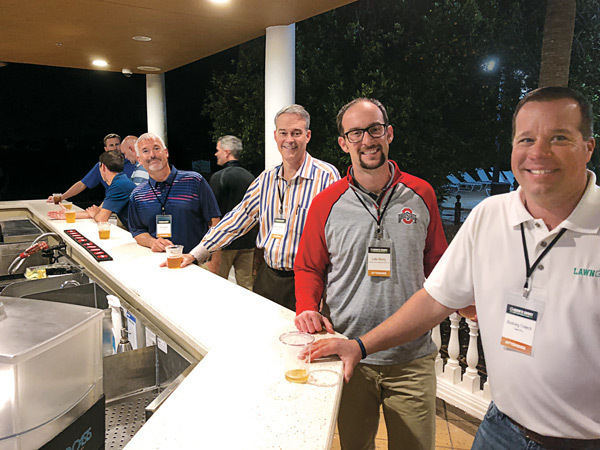 (Left to right) Bob Brower, general manager, Lawn Plus, West Alexandria, Ohio; Mark Utendorf, president, Emerald Lawn Care, Rolling Meadows, Ill.; Luke Henry, president, ProScape Lawn & Landscape Services, Marion, Ohio; Rodney Creech, owner, Lawn Plus, take in a beautiful Orlando evening at the Seven Eagles Pool Pavilion outdoor bar. 5. Gotta meet the new guy. 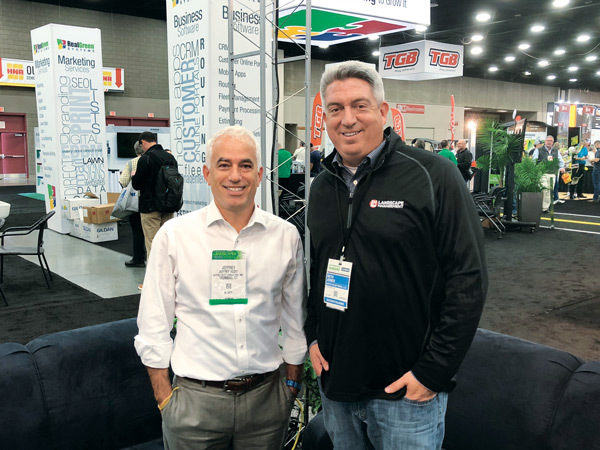 At GIE+EXPO in Louisville, Ky., LM columnist Jeffrey Scott (left) stopped by the LM booth to say hi to the new guy — LM EIC Seth Jones. 6. 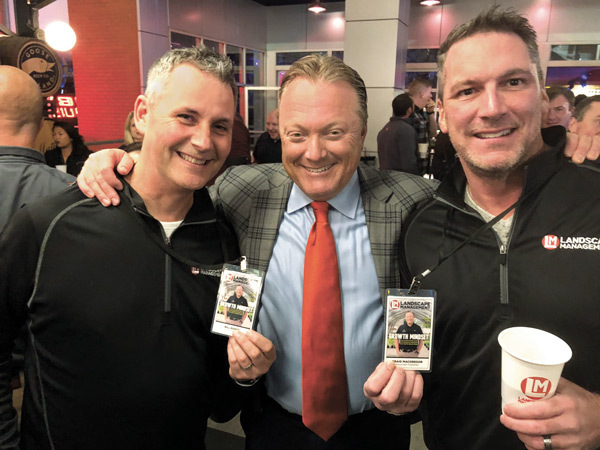 Philadelphia flyers. 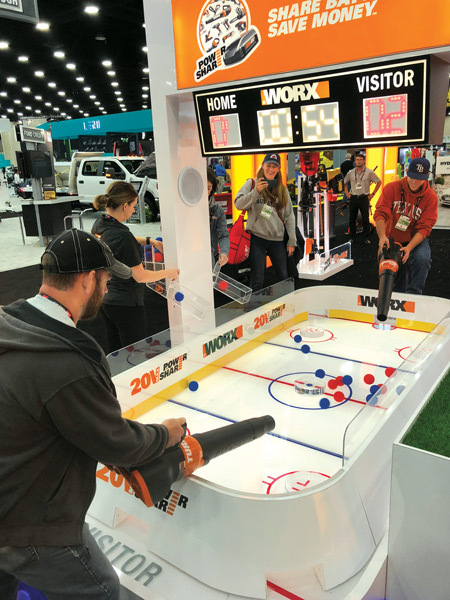 This new spin on air hockey was a fun way for WORX to show off the blowing force of the 20-volt turbine blowers at GIE+EXPO.